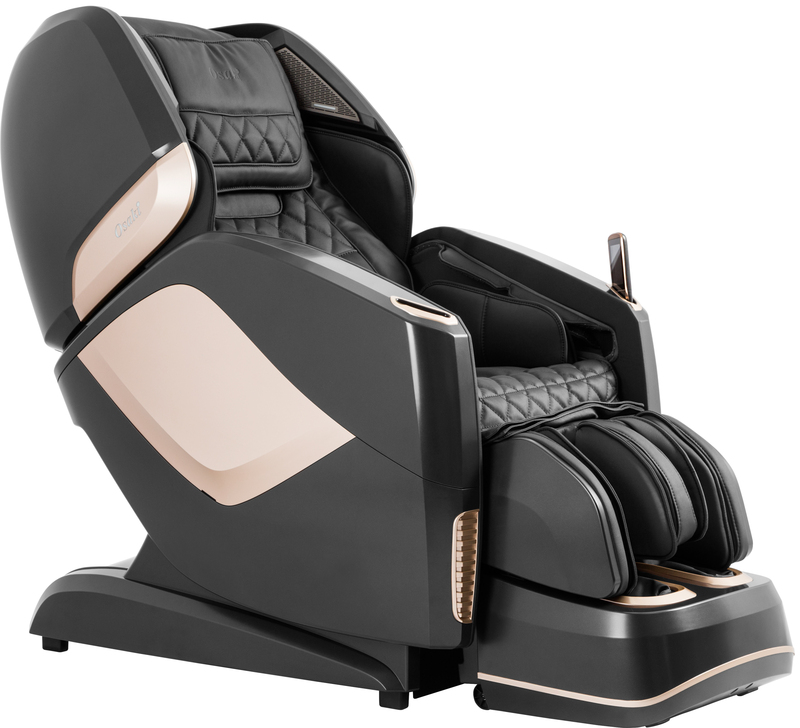 OSAKI OS-PRO MAESTRO 4D Zero Gravity SL-Track Massage Chair Recliner with In-Home Delivery and 5 Year Osaki Service Warranty Plan. Experience the most life like massage from Osaki. The newly enhanced 4D L-track massage is designed to massage wider, deeper, and more rhythmically than the conventional massage rollers. 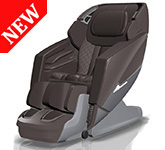 The 4D massage allows another experience with account for the speedand rhythm of the massage. The Osaki OS-Pro Maestro allows for 8 different levels of adjustment for the 4D massage. 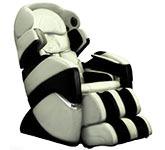 With the variety of adjustment levels, the user can customize the massage to suit their personal preferences. 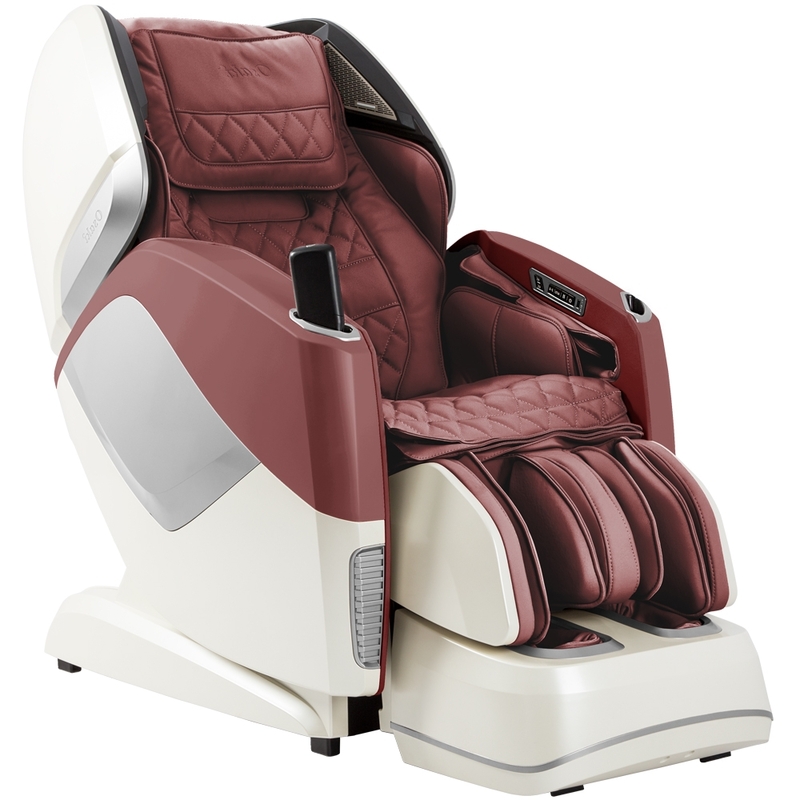 With the Osaki OS-Pro Maestro massage chair, you will have complete control of your relaxation experience. Massages are adjustable with 8 4D adjustments, 5 Strength adjustments, 5 Intensity adjustments, and 5 speed adjustments for the massage rollers. 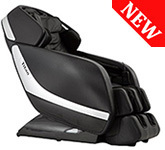 Evolved 4D massage mechanism - Built-in 4D massage mechanism will enhance the back massage for the neck shoulders. Computer Body Scan Technology - The OS-Pro Maestro will perform a body scan to map the key areas of the neck and back to ensure the optimal amount of pressure applied during the massage. The scanning technology will detect your shoulders height, which can be re-calibrated once the scan is complete. Heated back roller - The Osaki OS-Pro Maestro has the most advanced back heating system. The roller itself will heat up acting like hot stones massaging at the same time. The allows for a far greater surface heating area. Experience the luxury of hot stones warming the muscles from your neck to your hamstrings. 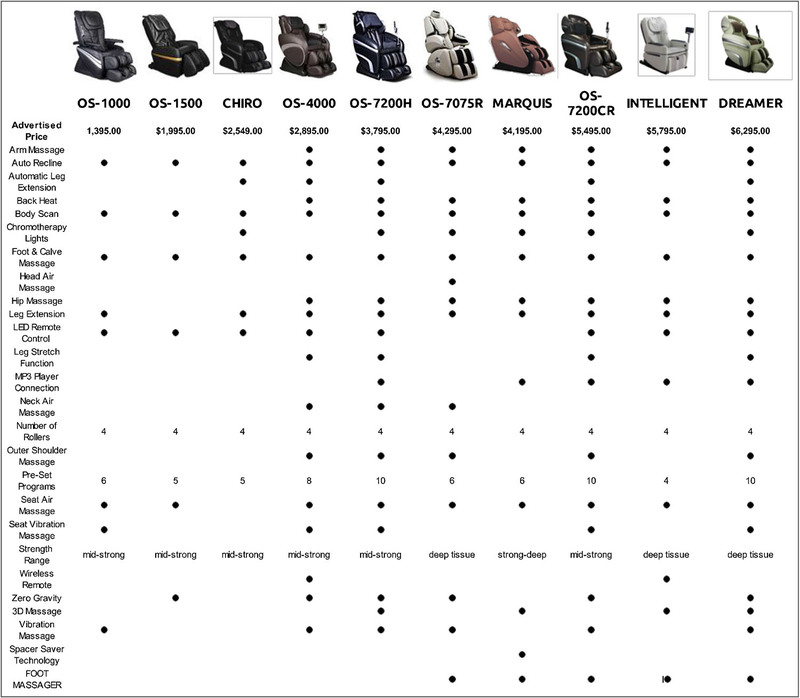 Space saving (Wall Hugger) technology - The Osaki OS-Pro Maestro only needs 5” from the backrest to the wall, which reduces the amount of space the chair takes up. 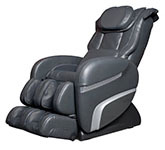 As you recline the massage chair will slide forward, which allows you to maximize your living space. 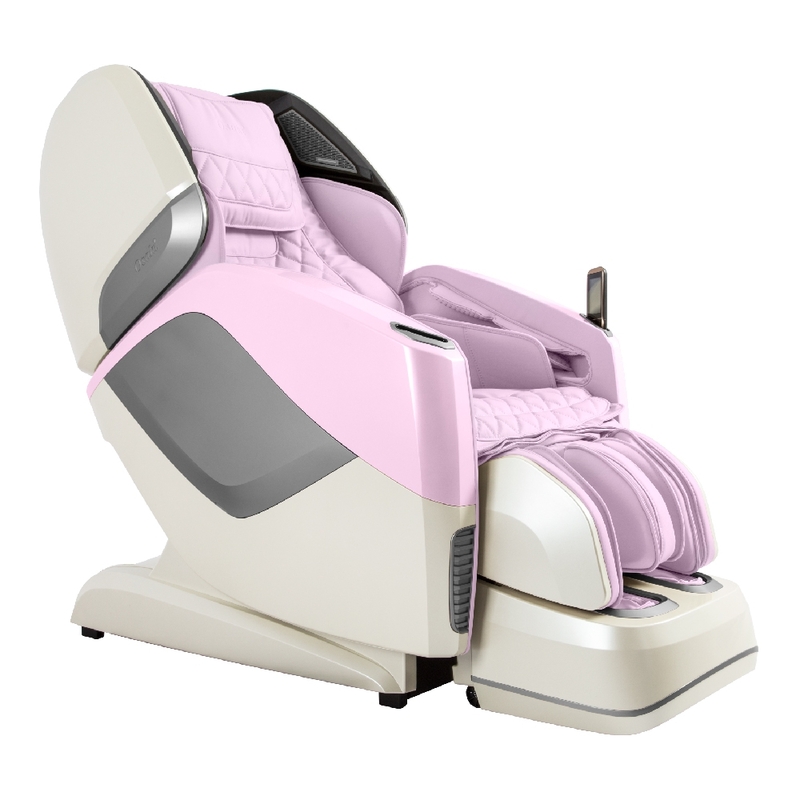 S & L shaped massage tracks - The Osaki OS-Pro Maestro combines both the S and L track technology for an exceptional massage experience. The S-Track rollers will contour the natural curvature of your spine. The L-Track extends from your neck, all the way down past your lower back, and finally wrapping underneath the back of your thighs. The L-Track offers about 50% more massage area than your average S-Track chair. 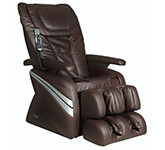 Zero-Gravity - Inspired by NASA, the Zero Gravity position is the perfect position for ultimate relaxation. When placed in Zero Gravity position, the weight of your back will be virtually supported by the backrest. In this position when the knees are brought above the chest will optimize your blood flow, in order to relax the body more. This will in turn help to maximize the intensity of the massage and reduces the compression along your spine. 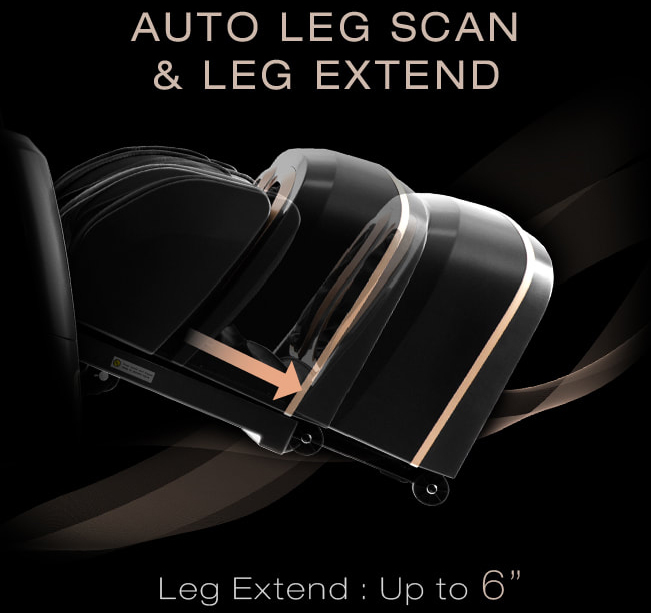 Legrest/Ottoman Extension - The ottoman will scan your legs to ensure the optimal leg length for your height. The foot component will extend outwards and then retract inwards. Simply apply pressure with your feet to indicated to the leg scanner that length is at the desired position. remote also allows for one to auto adjust the leg component to either extend or retract to the user’s personal needs. 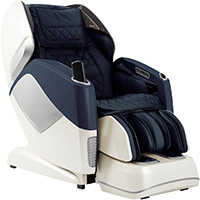 Manual Massage Modes - The Osaki OS-Pro Maestro massage chair comes with manual modes so you can pinpoint a desired massage for a specific area on your back. 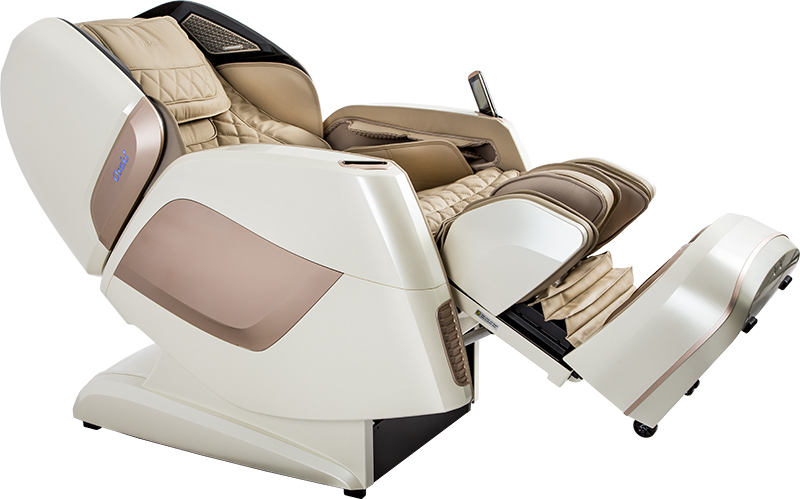 The Maestro can perform Kneading, Tapping, Shiatsu, and Rolling with 4 different Characteristics/Modes per massage style. You can either pinpoint a specific spot on your back for the massage or massage by sections of the body. Focus can be places on the shoulders, arms, lower back or even the calves. 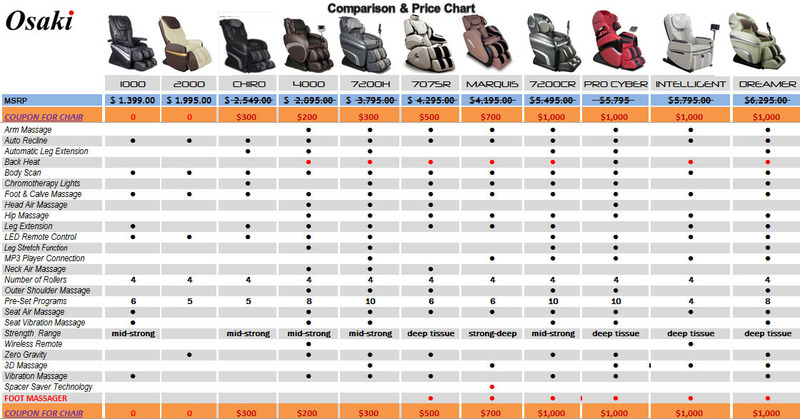 As well the chair offers specific custom settings for Neck/Shoulder, Lower back, and Air massage. Bluetooth and HD speaker - The Osaki OS-Pro Maestro is equipped with Bluetooth technology and an Amphitheater sound system that reduces the surrounding noise, enhancing your listening experience. 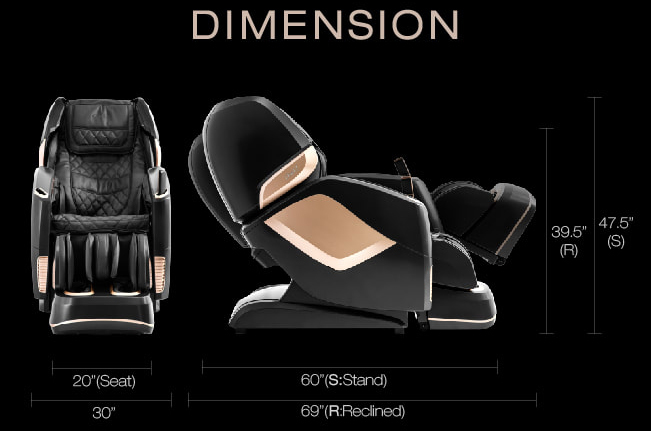 This allows you to listen to your favorite music on Osaki’s highest grade of audio speakers located in the headrest. It is advised to activate the Bluetooth speakers at the lowest volume before playing music, and then gradually increasing to a desired level. The blue light on the speakers will indicate if the speakers have synced with your device. 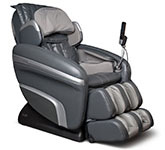 Full Body Air Massage - There are multiple airbags located throughout the massage chair to offer a full body massage experience. Airbags are located at the shoulders, arms, waist and pelvis, and the calf and feet areas. This compression massage helps to continue increasing blood circulation throughout the body to relieve pain and tension. Foot and Calf Kneading - Underneath the feet there are spinning reflexology rollers to provide an outstanding foot massage. The rollers under the feet will travel along the sides and middle of your feet to provide a more hands on kneading experience. Along with the foot rollers the calf portion will inflate to the appropriate amount of pressure and then initiate a calf kneading massage. Allowing the calf portion to provide a calf kneading motion will increase the blood flow of the legs, helping them to reach a higher level of relaxation. All New Calf, Bridge, Knee & Heal Massage - On the upper section of the leg rest, the air massagers will rotate in a circular motion to add a new dimension to the calf massage. For the foot portion addition components have been added to stretch and massage the bridge and heel of the foot. The experience is like no other. Ergonomic Remote - The Slim LCD remote control is very simple to use. 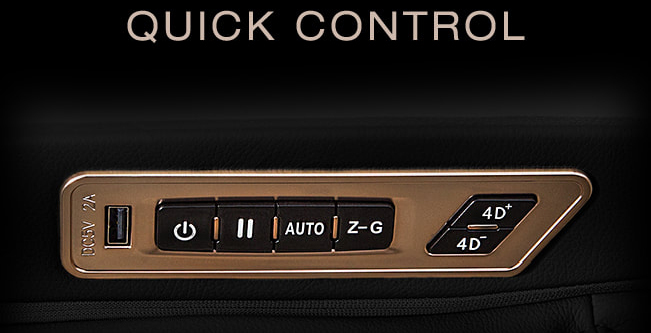 There are 4 simple buttons on the bottom of the remote to adjust recline, incline, auto, and home. 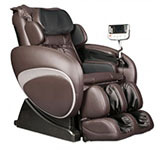 The touch screen makes it easy to select the massage of choice and adjust any other settings necessary. You can use the buttons to navigate through the menu to select either Neck/Shoulder, Lower Back, Auto, Manual, Advance, or Air Massage. The massage timer can be set from 5-minute adjustments starting from 5 minutes up to 30 minutes. Quick Side control panel - On the side of the inner armrest you can access Power, Play/Pause, Auto, Zero Gravity, and 4D adjustment. You can even charge your device using the available USB outlet while using your phone or tablet. Overall Dimensions for this chair upright are 32 inches wide, 61 inches long and 48 inches high. 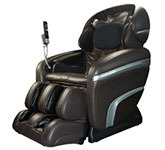 Overall Dimensions for this chair Reclined are 32 inches wide, 80 inches long and 47 inches high. 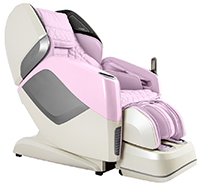 5 Year Extended Osaki Service Warranty Plan is included on New Chairs.